Jacky Fortner, a Dahlonega native, has sung since he was 3 years old and has traveled as a Southern Gospel singer since 16. He performed in the 1980s and 1990s with the group "Liberty," winning popular and critical acclaim. 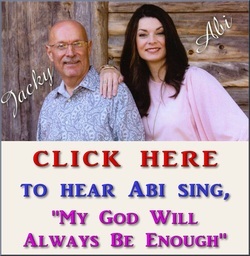 In 1986, Jacky was nominated in the top 5 tenor singers of "Southern Gospel Music". He now performs solo concerts, records CD's and helps with worship services at his church, New Haven Church at 615 White Sulphur Road, Gainesville, GA 30501. To purchase a CD or to book ﻿Jacky﻿ for a singing, please call 770-718-7777.